Rotating Skewer Rotisserie fits for Weber Q 300, 3000 & 320 Series Gas Grill. Excellent all-round Rotisserie Kit for cooking small chicken or large turkey. The powerful Electric Grill Motor ensure your meat is cooked perfectly on all sides. Easy to handle. It is a great Portable Kit for RV,hiking,camping and tailgating. You can create the most delicious roast or poultry dishes in a practical and uncomplicated way. To turn your Gas BBQ Grill into a Rotisserie Grill, all you have to do is remove the Grill and warming rack from the Grill chamber and fix the BBQ Grill Motor mount with just two screws. Discover a new way to use your Outdoor BBQ Grill With A Rotisserie. The slow preparation turns chicken or rib into crispy masterpieces. Lean back while your spit gently turns the food over the heat and prepares juicy pieces of meat in your own Outdoor Kitchen. This is an exclusive item and we have patent of it! Looking for ideal Rotating Skewer Rotisserie Fits for Weber Manufacturer & supplier ? We have a wide selection at great prices to help you get creative. All the Rotisserie Fits For Grills are quality guaranteed. 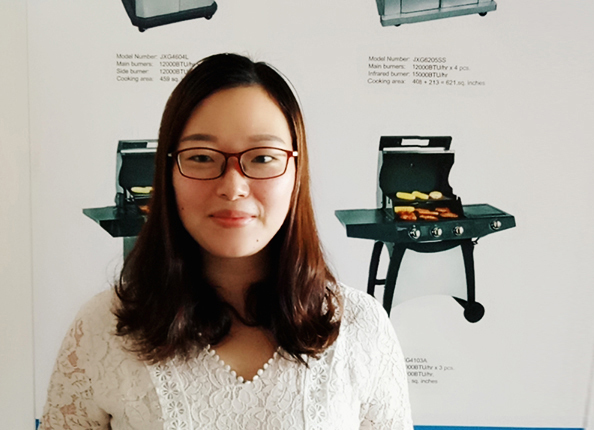 We are China Origin Factory of BBQ Rotisserie Kit With Electric Motor. If you have any question, please feel free to contact us.